As reported by American researchers in the United States syndrome Gilles de la Tourette's affects 148,000 children. Many of them there are other violations, including infringement attention syndrome with hyperactivity. Syndrome Gilles de la Tourette's is characterized by painful tics - involuntary repetitive, stereotyped movements - and as involuntary shouting any words, including abusive (coprolalia). According to the study, the prevalence of a syndrome Gilles de la Tourette's among American children is one-third per cent; they are sick three out of every thousand children. "Evaluation of morbidity syndrome Gilles de la Tourette's - the first step to understanding the role of this disease in the morbidity structure of the population," - says one of the authors of the study, Dr. Rebecca Bitsko from the Centers for Disease Control, USA. "Children with the syndrome of Gilles de la Tourette's and other tic disorders frequently observed syndrome disorders of attention hyperactivity disorder, obsessive-compulsive disorder and related disorders, including learning difficulties and communication with peers," - adds Dr. Bitsko. In order to clarify the incidence of a syndrome Gilles de la Tourette's team analyzed data from the National Health Survey of children in 2007, which was first included questions concerning this syndrome. Full details about the syndrome Gilles de la Tourette's have been received for 64,034 children and adolescents aged 6 to 17 years. 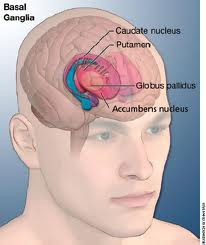 Estimated prevalence syndrome Gilles de la Tourette's in children, according to a survey of parents, was 3:1000, which corresponds to about 148 thousand children. In boys, the disease is diagnosed more often than girls, the researchers noted in a weekly report on morbidity and mortality, published by the Center for Disease Control, USA. The reasons for this are unknown, but it is assumed that the prevalence among patients with the syndrome of Gilles de la Tourette males due to the combined influence of genetic, hormonal and environmental factors. In Russia (as an example of the Moscow region), the prevalence of the syndrome Gilles de la Tourette's is 1:1000 [Zykov VP, Nazarova, EK, 2000], and among the sick children in the boys, 5-6 times more than girls.